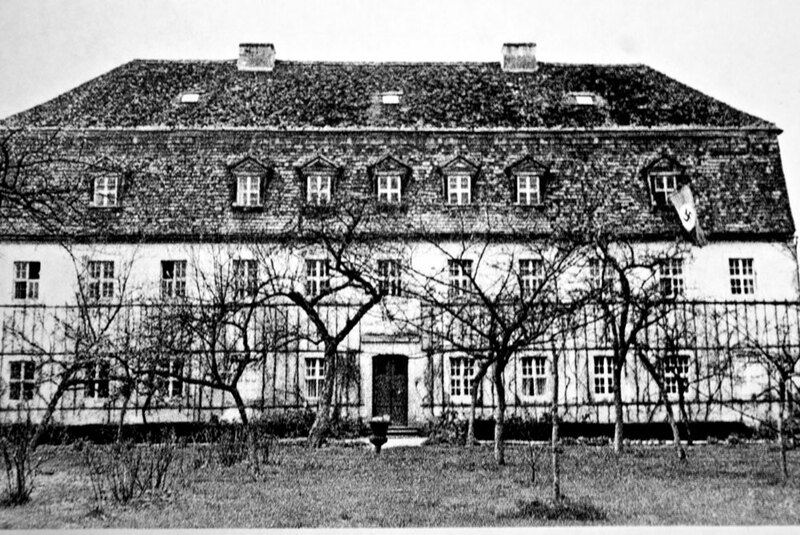 In Saxony, in the village of Uhyst, stands an 18th-century building, called the Dannenberghaus, which once served as a boarding school for boys from Europe’s aristocratic families. 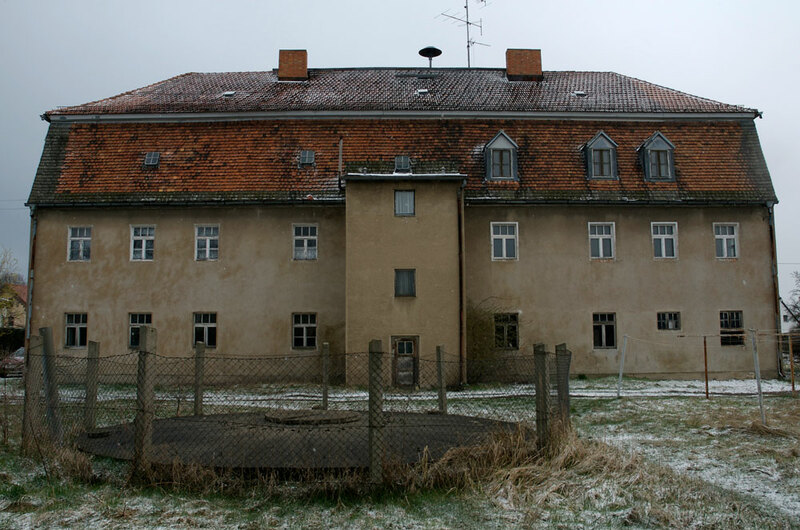 Even though the building was inhabited as recently as the DDR era and the last resident, an old lady, moved out only in 2007, the building has retained most of its original character. Archival documents, written in Gothic script, tells us how many pairs of shoes or nightcaps a student had to have and what the recommended diet was. We can also learn that the education was in a Protestant spirit. In one archival photograph, Nazi flags hang from the building’s windows. The project The Uhyst Refugee Asylum tried to imagine the future. The artist predicted, wrongly, that twenty, thirty or fifty years ahead from 2008, Europe will be host to a wave of refugees from all over the world. They came much, much sooner. She asked the residents of the Saxony village whether they would be willing to accept refugees. Uhyst had already answered the question once, in the early 1990s, when the government floated plans to put 120 refugees in the nearby historical palace. The members of the Uhyst Heimatverein did agree, however, to the creation of a fictional refugee centre. On 12 July 2008, a banner with the appropriate inscription in English and German was hung above the entrance to the building, and on the windows and doors plaques were installed designating the rooms for different nations. Both the banner and the plaques were written using Gothic script, identical to the one used in the historical documents describing the young noblemen’s menu and dress. The artist chose twenty countries that the majority of European refugees originate from: Palestine, Afghanistan, Iraq, Sudan, Burma, Somalia, Iran, Eritrea, Lebanon, Kurdistan, Azerbaijan, Armenia, Pakistan, Tibet, Vietnam, Cambodia, Rwanda, Chechnya, Salvador, and Cuba. Countries impoverished by war (e.g. Iraq) and those on a lower level of economic development, were given lower-standard rooms. The poorer the country, the more run-down the room. The choice of the rooms was one of the most cynical aspects of the project's strategy. In a way, Gothic script is emblematic of European culture. It makes one think of German literature, German order and organisation. Because of European historical experiences, especially the Holocaust, it makes one also think of genocide. 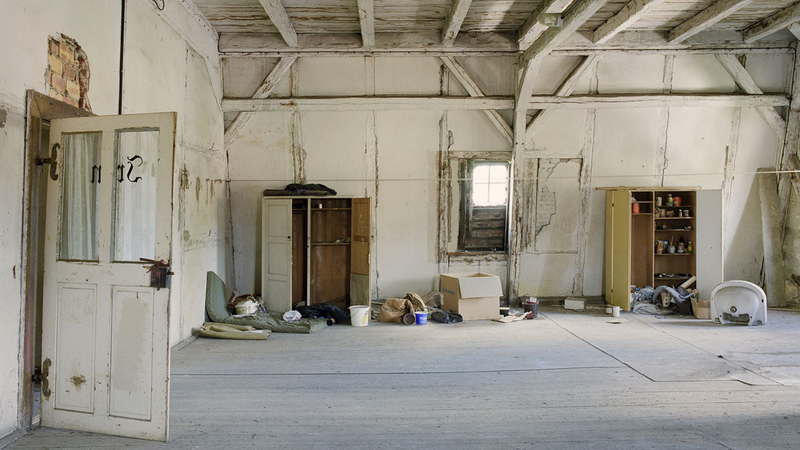 In the context of the Uhyst Refugee Asylum, Germanness became Europeanness. Placing the refugees in a building whose order and customs are described with precisely this script meant facing the fictional refugees with the requirement of assimilation. And so in the room for refugees from Cuba was a copy of an archival document stating that a student should have twelve pairs of white cotton stockings. The The Uhyst Refugee Asylum project was not so much an attempt to confront the villagers of Uhyst with an inevitable, in the author’s opinion, future, as a question about our, that is, European, approach to refugees.